I’m sad. As I drove to work I made a most disheartening discovery. 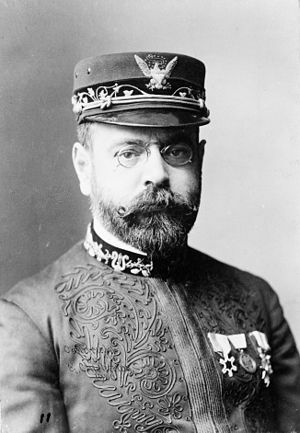 My one and only CD of John Philip Sousa marches has become damaged. Tracks 15 and 16 no longer play. I feel like I’m two marches short of a parade. I’m all lined up and have nowhere to march. The march started but shortly it began to jump and skip like a triple-jump athlete at a school field day. Of course, I ejected the CD and re-inserted it thinking, like a computer, if it re-boots then all will be well. Well, it’s not well and I’m left wishing it were well. And the day had been going so well. I slept well. I ate well for supper thanks to Margaret’s meatloaf. Amazing (well, interesting, at least) how a little thing can change our day from well done to done in. Do you think the heavenly angels play Sousa marches? Well, I hope so. I’ve got two marches that need to be redeemed!